If you’re looking for sleek, ultramodern vape cartridge packaging at prices that won’t make your heart sink, you’re at the right place—it’s one of our bestsellers! 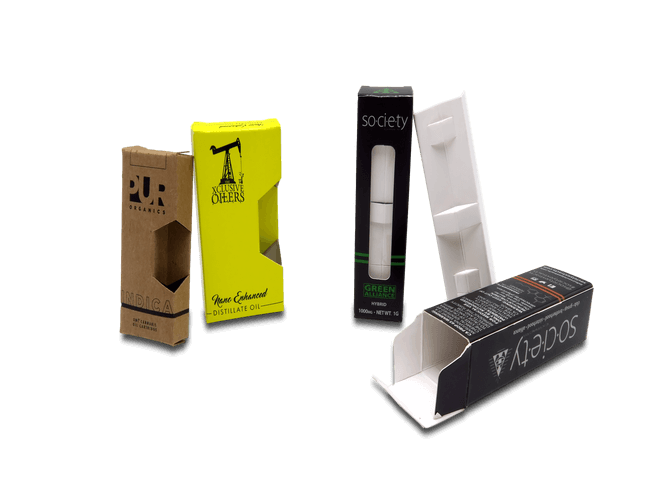 Whether you’re looking for basic boxes or want to go all out, let loose and customize your boxes with our incredible scope of textures and finishing touches for vape packaging that truly reflects your brand’s personality. Get all your questions answered by our friendly team and enjoy a lightning-quick turnaround, plus free mockup samples and much more! What else is there to love about getting your custom vape cartridge packaging from Business Image Printing? Find out by clicking “Custom Quote” above or contacting us at sales@businessimageprint.com!